I wandered into the first of Larsson's novels and read all three with increasing interest. The theme of violence against females is worked over hard and effectively. Don't let the graphic description divert attention from the heart of the message. The story line is easy enough to follow but a lack of familiarity with the geography of the settings slows the pace some. Of course I am now far more knowledgeable with Sweden's governing principles and the sanctity of their press than before. These are compelling, entertaining and worthwhile reads once you get started. This is an absolutely fantastic read. Read the entire series and weep that the author will write no more books. fantastic read. a must have read book by anyone that likes to be kept on the edge of their seats. Terriffic book...could not put it down once I received it. 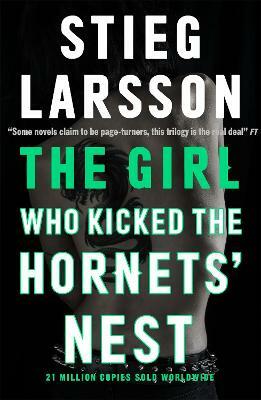 I don't often get so intrigued by a series story as I did with Stieg Larsson's. I am so glad they have started the movies, and I hope they make the whole series into movies. The characters are so fascinating and like no others I have read.